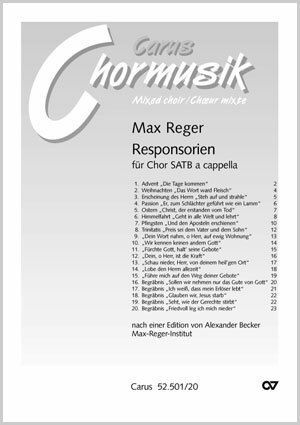 The Responsories - in English in the original - owe their origin to a plan by Luther D. Reed, a professor of liturgy, to accompany liturgical reforms in the American Lutheran Church with suitable contemporary church music. The English edition (Carus 52.501/10) is based largely on the manuscript. When necessary, for the present German version rhythmic subdivisions were made or slurs for melismas were included.